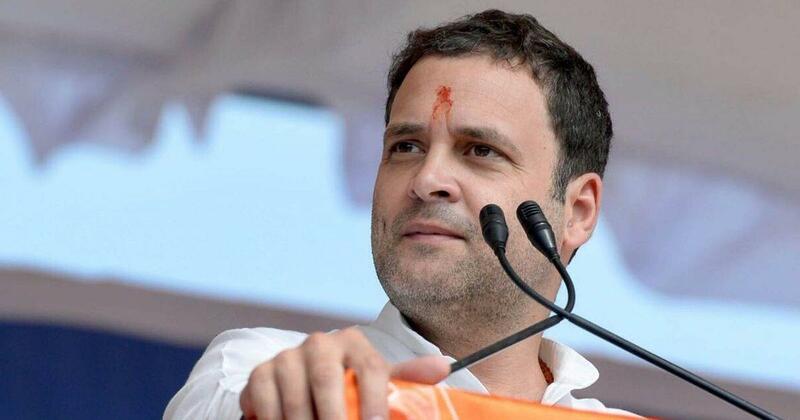 NEW DELHI: Prime Minister Narendra Modi acted as Anil Ambani's "middleman", Rahul Gandhi said today in his latest allegation linked to the Rafale controversy, citing an email that he said revealed that the industrialist had visited France and met with the French Defence Minister a fortnight before PM Modi announced the 36-jet deal. The Congress president alleged that Anil Ambani was aware of the deal when even "the Defence Minister and Foreign Secretary didn't know". "PM has compromised national security, he has done what spies do," Rahul Gandhi said in a press conference. The Congress president held up a copy of what he said was an email by an Airbus employee with details of the meeting. "Anil Ambani, who met the French Defence Minister, mentioned an MoU he is looking forward to sign after the Indian prime minister's visit to France. Mr Ambani says he is first looking to make commercial helicopters. This is a breach of the Official Secrets Act. The PM is the only other person who knows about this. In fact Anil Ambani opened his company after this meeting. The PM is acting as Anil Ambani's middleman, it is in black-and-white for anyone who reads the email," said Rahul Gandhi. Anil Ambani visited then French Defence Minister Jean-Yves Le Drian's office in Paris and had a meeting with his top advisers in March 2015. According to Anil Ambani's Reliance Defence, the visit had nothing to do with Rafale; they say he visited France to discuss a Naval Utility Helicopter deal for which the government of India had issued a Request for Information in 2015. The email described the meeting as "confidential and planned as you can imagine with very short notice". The Airbus letter said Anil Ambani "told them he intends to work with Airbus Helicopters on commercial helos and then on defence." He is also said to have "mentioned a Memorandum of Understanding (MoU) in preparation and the intention to sign during the PM visit".